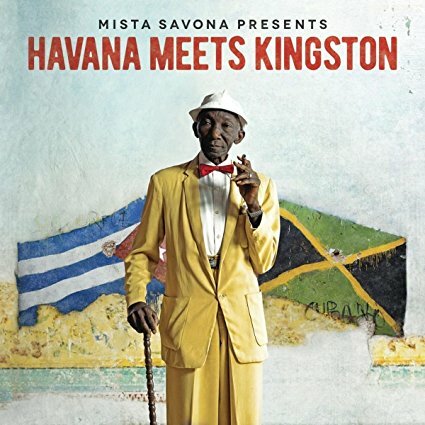 As title states, Havana Meets Kingston is an album that highlights the intersection and cultural exchange of musical practices between the islands of Cuba and Jamaica. The artists present new renditions of classic Jamaican and Cuban songs such as “Chan Chan,” “El Cuarto De Tule,” “Candela,” “Vibracion Positive” (Positive Vibration), “Row Fisherman Row,” and “100 Pounds of Collie” while fusing reggae and dancehall together with the son Cubano. Producer Mista Savona brings together an extraordinary cast of Cuban and Jamaican musicians consisting of members from the Buena Vista Social Club (Barbarito Torres and Rolando Luna), the Afro-Cuban All Stars (Félix Baloy), Los Van Van (Changuito), Septeto Nacional Ignacio Piñeiros (Eugenio “El Raspa” Rodríquez), the Heptones (Leroy Sibbles), and major artists such as Prince Alla, Earl “Chinna” Smith, Sizzla, and many others. Opening with “Chan Chan,” the listener is treated to an astounding interpretation which begins similarly to the original recording, before morphing into a reggae groove layered over the son rhythm. On “El Cuarto De Tula” we experience the meeting of Havana and Kingston through the blending of this Cuban song with Jamaican dancehall, and the contemporary vocal styles of Maikel Ante, El Medico, and Turbulence. This album marks the beginning of this collaboration between Jamaican and Cuban artists, who have done a magnificent job in fusing musical traditions with contemporary culture. Another album is planned, as well as a feature length documentary. Havana Meets Kingston is a must buy for anyone interested in Caribbean music, and more specifically the musical exchange between these two islands.